Engineer Here is inviting families, educators and the thinkers of tomorrow to get involved in a host of events focused around the world of engineering. Over the course of 2018 a nationwide Government campaign, is taking place to inspire the next generation of thinkers, innovators and problem solvers. Uniting hundreds of people, institutions and businesses, the Year of Engineering aims to push the boundaries of what it means to be an engineer. Here East is a creative campus of tech and digital companies who innovate, collaborate and look to invent the products of tomorrow. Find out more about the incredible events, talks and activities taking place throughout 2018 below. iCodeRobots robotics taster session is a success! 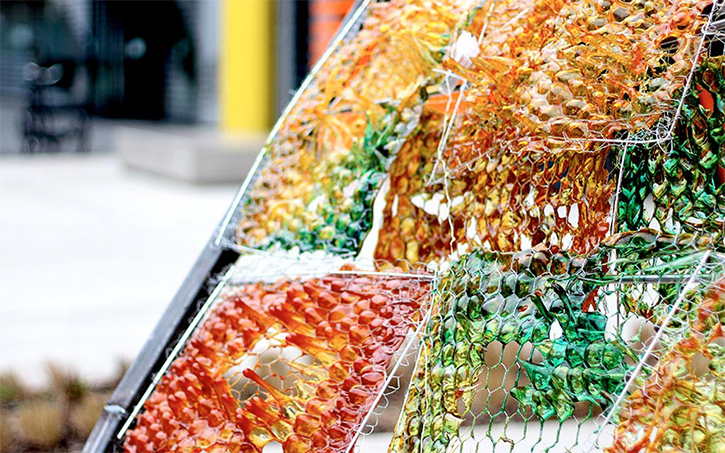 Visit the Here East Yard and explore 6 structures that will exist for just 24 hours. Engineering and Architecture Design MEng first year students are designing, making and living in structures responding to the theme of ‘light’ that will be sited in and around UCL at Here East. Coolest Projects is a world-leading annual showcase that empowers and inspires the next generation of digital creators, innovators, changemakers, and entrepreneurs. 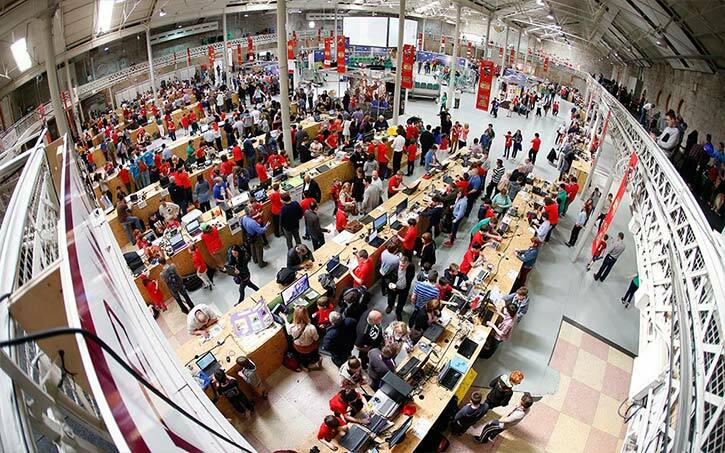 The showcase will involve young people from across the whole Raspberry Pi community. 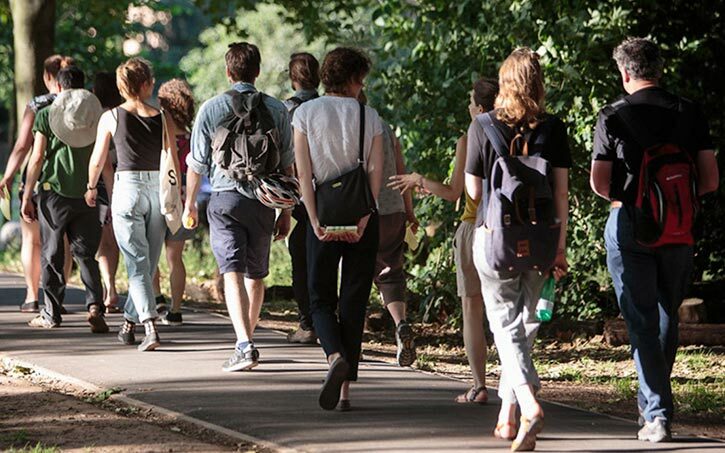 Please join us to walk and talk the changing space of East London, led by artist collective The Walking Reading Group. 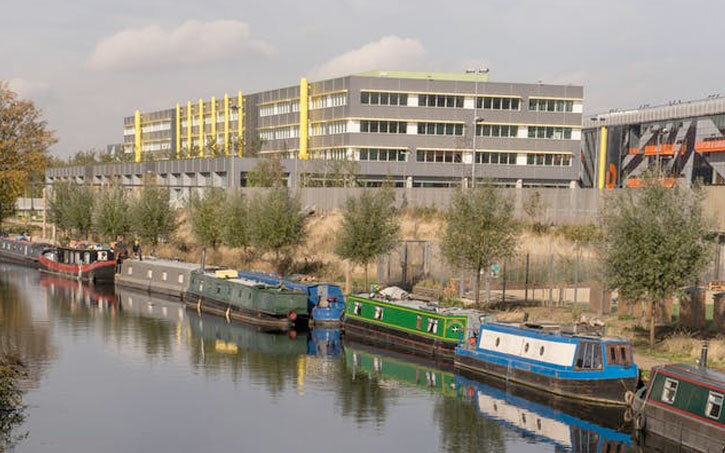 The Walking Reading Group will host a walk exploring concepts of dystopia and utopia, consumerism and gentrification in the context of Stratford and Hackney Wick. Participants will be invited to read selected texts that will serve as a springboard for conversations during our two hour walk. This event includes a walking tour, if you have any specific access requirements please email architecture.comms@ucl.ac.uk using the subject line ACCESS. This is a free event but booking is required via Eventbrite, please use the link below. Join us for a panel discussion which considers whether multiple identities in buildings can coexist. Following the increasing need for buildings to be reused, recycled or repurposed, how do strong architectural identities remain? This event is an opportunity to discuss how buildings are designed, built, used and subsequently reused. We will consider the need to balance future-proof design whilst being creative users of space. Our panel will include a range of voices from architects and designers to the community users of spaces. Speakers include Alex Lifshutz, Alexi Marmot, Anna Harding, Gee Sindhu, and is chaired by Clare Melhuish. Playground of Making. Collaboratively create and adapt your very own play space with Here East architects, Hawkins Brown. Enjoy weaving, climbing and crawling through and over structures, mazes and props. Suitable for ages 5+. Straw, Sticks or Bricks? Families can explore the story of the three little pigs and build their own houses to see if they can huff and puff and blow them down! Suitable for ages 0-5. Structural Cities. Test the power of pencil and paper to design, engineer and construct houses, schools, hospitals, bridges, roads and rail to make the strongest, sturdiest and best city ever! Flat-Pack Pavilions. 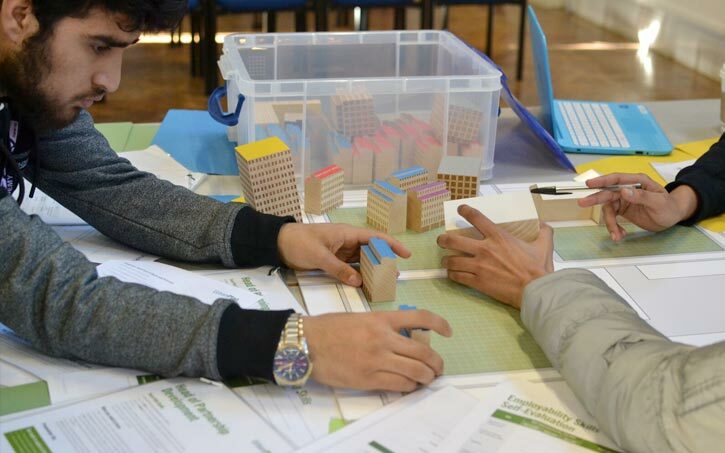 Join structural engineers from Elliot Wood Partnership to explore digital fabrication innovation and parametric design to build your very own flat-pack pavilion. Suitable for ages 5+. Straw Towers. Build the tallest straw tower you can and see if it can pass the marble challenge set by structural engineers from Elliot Wood Partnership. Suitable for ages 5+. You are invited to Wonder Women Tech’s 2nd London International Conference at the Plexal Innovation Centre at Here East. Enjoy an exciting day of guest speakers, keynotes, breakouts, panel discussions and career development workshops for women in tech and diversity in STEAM. This one day conference is taking place during London Tech Week and will bring together change makers, educators, innovators, to explore ideas and solutions for women in STEAM careers. 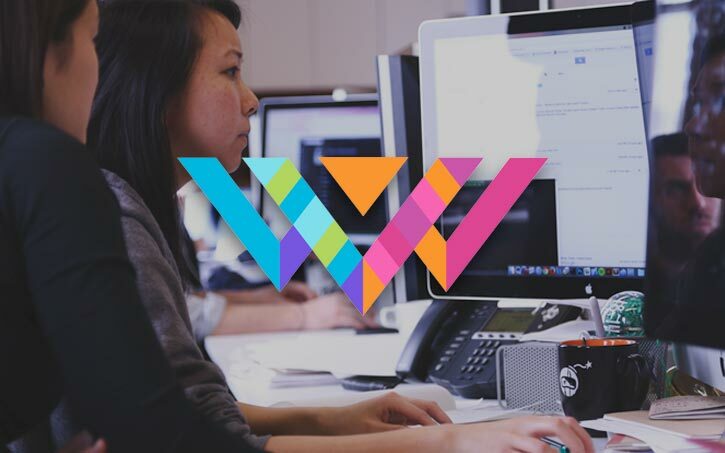 Wonder Women Tech is an organization that produces year-round programming and national and international conferences that highlights, educates, and celebrates women and diversity in STEAM (Science, Technology, Engineering, Arts, Math), innovation and entrepreneurialism. We are celebrating a new theme in 2018: #WeAreInnovators and we are going above and beyond to find the most innovative women to ignite our global conferences. Please book your tickets using the following link. 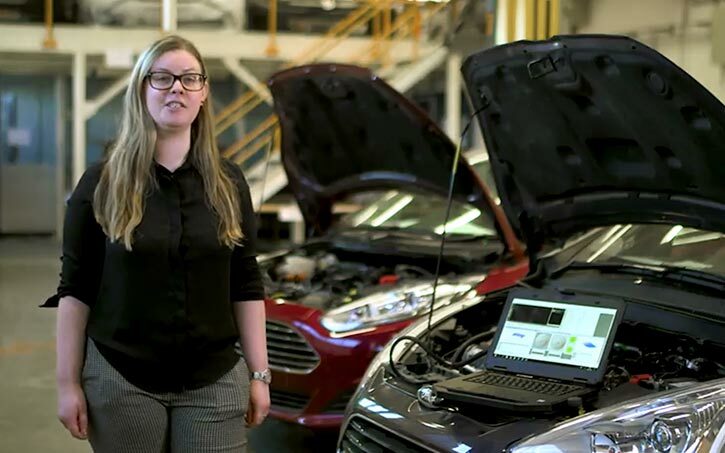 International Women in Engineering: Changing the world! 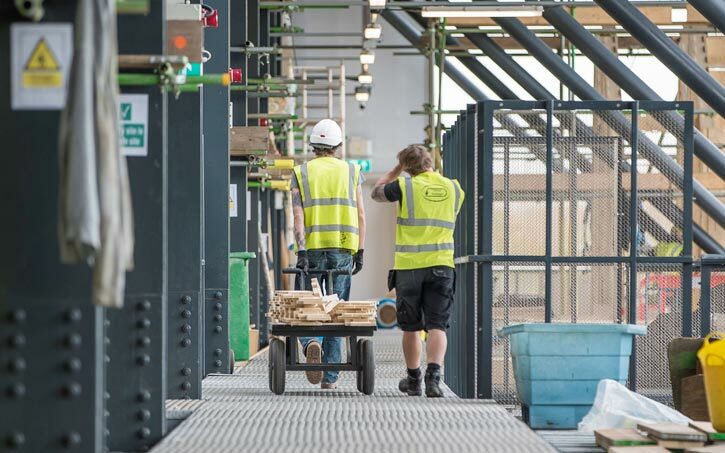 At UCL Engineering, we have a strong commitment to breaking down stereotyped perceptions of suitable choices and careers in young people by raising awareness of the wide-ranging careers in engineering. We will be hosting a series of Women in Engineering events, including the International Women in Engineering Day at UCL, Women in Engineering Taster Day and Open Labs “Explore Engineering at UCL” sessions, inviting pupils, their teachers and parents to participate in a celebration about STEM subjects. The events at the Faculty of Engineering will include a series of panel discussions and interactive sessions with successful women and men from different sectors. Contact e.makriyannis@ucl.ac.uk for more information on this event. 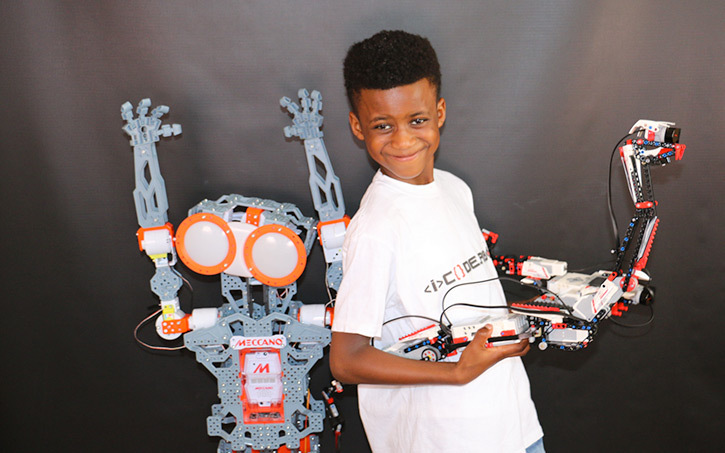 To celebrate UK National Robotics Week, UCL Engineering will be offering a series of TechDays, Summer Challenges, Summer Schools, Coding Jams, Open Labs, Hackathons, cutting-edge robotics showcases and talks with creative technologists and experts for young people aged 5-19 years old. 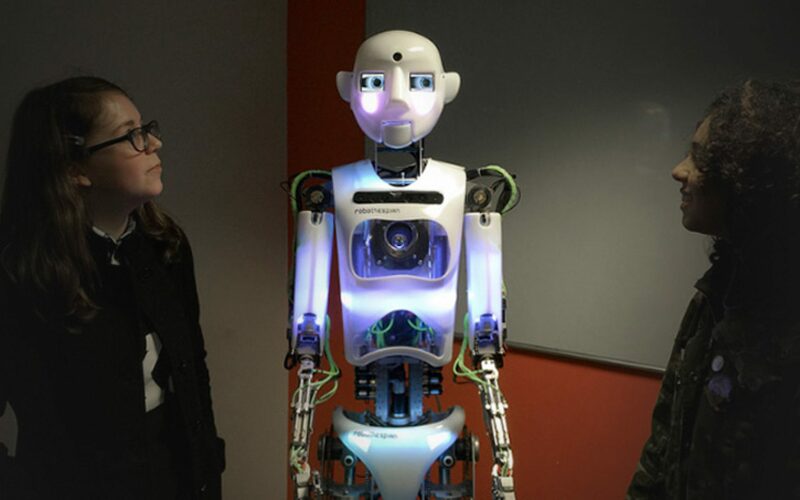 From building apps for robots to designing and making their own bio-inspired robot, building autonomous robots, developing games and websites to 3D printing, virtual reality and augmented reality activities, to coding with different programming languages, the week-long events and activities at UCL have it all! For more information check out the organiser website. Contact e.makriyannis@ucl.ac.uk for more information on this event. To celebrate UK National Robotics Week, iCodeRobots is offering a free robotics taster session, Welcome and Workshop using EV3 Mindstorms. This workshop will be a challenge-based one, where attendees will work in teams of 2 to design, build and program, a robotic vehicle. They will then be set a number of coding challenges to make their vehicle perform certain tasks, including using motors, and sensors to interact with its environment. For more information and booking, please use the link below. If you have any questions about this event, please email info@icoderobots.com. There is an age restriction for this event, age requirement: 7 to 12 years old. Professor Brian Cox OBE hosts seventh annual Science Summer School presented by St Paul’s Way Trust School, Tower Hamlets. The St Paul’s Way Trust Science Summer School has been successfully running for 5 years. Its aim is to inspire 11-18 year olds from across the country to pursue careers in STEM subjects – Science, Technology, Engineering and Maths. This event provides an exciting view of cutting edge scientific research alongside exploration of scientific areas in greater depth than lessons allow or that lie completely outside of the normal science curriculum. 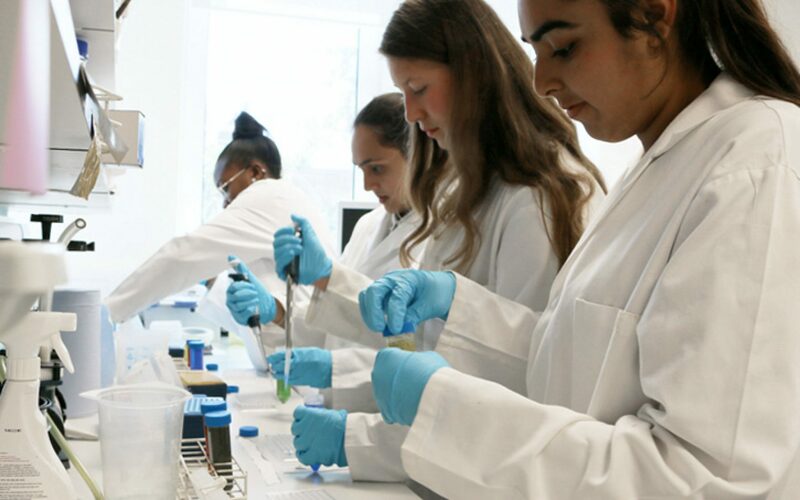 Whatever the specific nature of the workshop, presentation or talk, the Science Summer School helps those with a genuine enjoyment of STEM based subjects to learn from some of the most influential and internationally renowned scientific minds in the world. East Education Summer School is taking place at Here East this Summer. We are inviting 13 – 16 years olds from the local area to take part in our exciting free Summer School. At Queen Elizabeth Olympic Park, we are creating a new exciting cultural and education district – East Bank – which will see UCL, UAL’s London College of Fashion, Sadler’s Wells and the V&A expand their offer to east London. Ahead of these world class institutions arriving here, they wish to work with local young people in east London as part of this high quality summer school programme. This free Summer School will give 13 – 16 year olds the chance to try something new and develop skills and knowledge in fashion, printmaking, rap/dance and archaeology. Take a look at the Summer School offer and decide which courses you would like to take part in. Come take part in the free Straw-ctural Engineering Challenge at Here East. 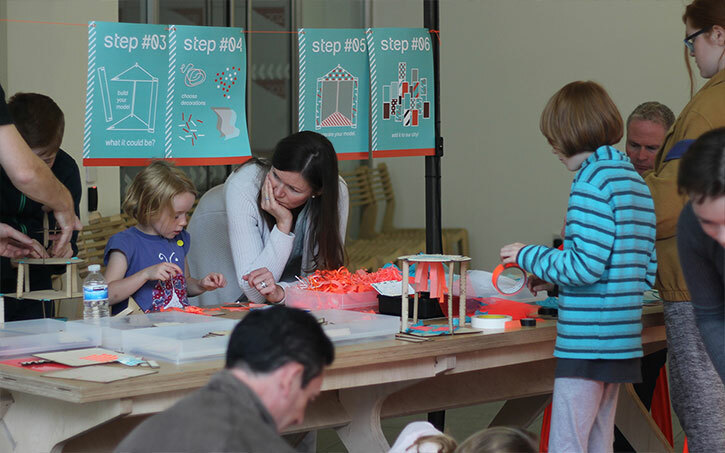 Run by Scale Rule as part of the Open House London, children will have the opportunity to build colourful miniature buildings and bridges out of plastic straws and paperclips. Put your masterpiece on the map and shape the London skyline! The activity engages children of all ages to think about engineering concepts like tension and compression in a way that they can experiment with and that allows them to be creative. The act of making (and breaking) models enables kids to develop an intuitive understanding of structures through trial and error, finding out through play what works and what doesn’t. For young women aged 15+ who want to explore their options in the Science, Technology, Engineering and Maths world of careers, whilst meeting industry people and gaining some #MonsterConfidence for their career. We’re bringing a boost of ‘MonsterConfidence’ to girls and young women aged 15 – 22 across the UK, Ireland and Germany this October and November. A free day to assist those considering pursuing careers in STEM, we’ll be touring 6 locations: London, Birmingham, Manchester, Frankfurt, Bristol and Derry. With the help of recruitment giant Monster, we’re offering a packed schedule of workshops, opportunities to meet the industry and inspirational content to over 1000 young women. There will be food. There will be freebies, and it is all free!